When you travel for work, sometimes you go with what your local agent decides for you. In this case, he put us up at a “hotel”, which was more like a restaurant with rooms on the second level. At Pschorrhof Locham, I really can’t ever recommend staying there. DO NOT do it, but DO eat there. It’s a local type of a place, with some good Bavarian food. It’s located a bit out of downtown Munich, really in the suburbs. Thus, the affordability of it. I think that’s a good word. 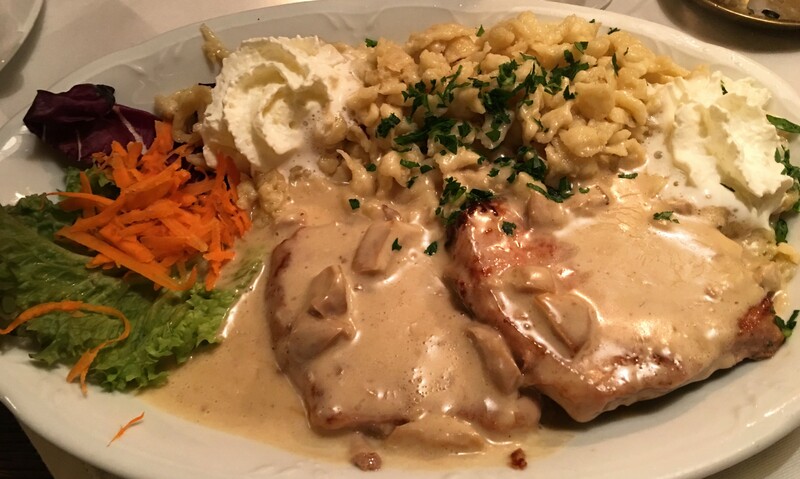 For dinner on our night’s stay, I decided to go with the JägerSchnitzel, Pork Medallions fried and then a Mushroom Cream Sauce on top. It was pretty good, not bad at all actually. My agent loves this place so much, we had breakfast there too. And guess what? We went back for lunch! 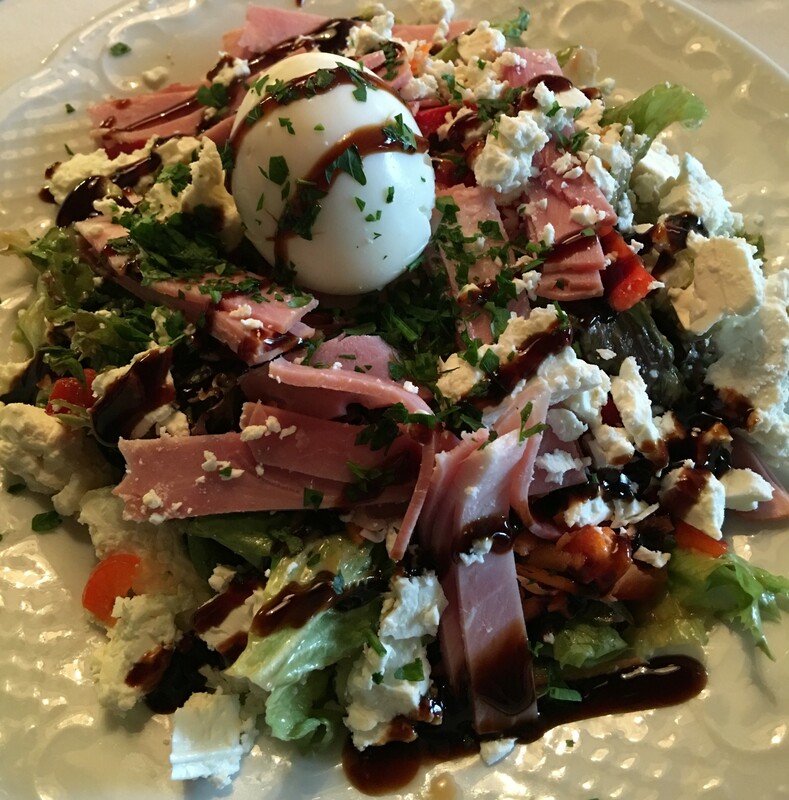 I was smarter though, I didn’t want so much of the heavy German food again, so I went with a salad. Nice a refreshing! Life is about experiences. Especially those you experience once. And believe me, I can guarantee you that I will only experience Pschorrhof Locham once. Posted in German, Munich, SchnitzelTagged Germany, MunichBookmark the permalink.